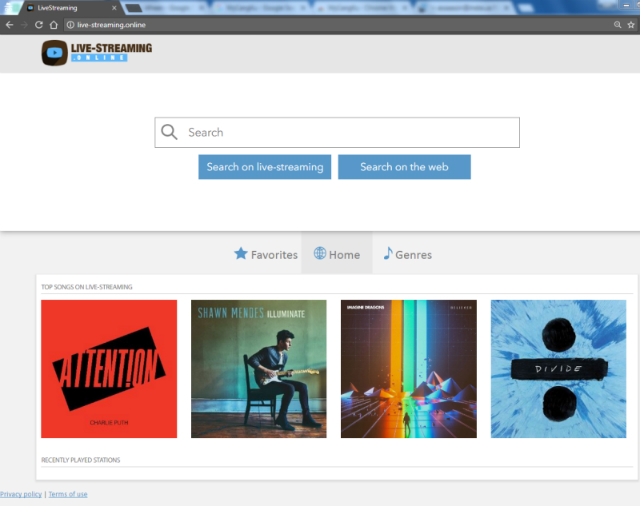 Live-streaming.online search may be staying there on your computer if you see it on your browser’s start-up page, home page, or new tab window. This is an adware and it get installed on users computer whenever they install any shareware, freeware, or third-party application. It is a program that bundles itself with free application hosted on various web sites. It doesn’t use only this way to get install on the users’ computer, but its developers and promoters also build it to free games, tools, download manager, and fake software update. Unlike an official home page of certain adware, this hijacker come along with the aforementioned program, toolbars, new tab also arrives with it. Whatever functions you have on your browser, Live-streaming.online occupy almost each one and its authors have done it purposely. They have done it to convenience users to use its search engine as well as its other features so that its authors can generate revenue through delivering advertisements and promotion in return. Because of its suspicious activities and unwanted change and irregularities it brings in, some computer users thinks that Live-streaming.online is a computer virus. However, it falls under the category of Adware or Potentially Unwanted Program (PUP). Below Live-streaming.online removal steps are given, perform them in order to get rid of it. Scan your device with defencebyte AV Pro to find and remove Live-streaming.online from your computer. Accept the license terms and follow onscreen instructions to continue with the remaining process to install defencebyte AV Pro. For detecting plug-ins, add-ons, PUP, harmful programs, and other malicious entities, run a scan on your machine. 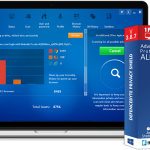 Follow the on-screen instructions to remove the unwanted programs and complete their removal process. Reboot your system for everything to take effect after completing the removal process. If you are dealing with Live-streaming.online, it is necessary to clean your internet browser from clutters and unwanted add-on/extensions. 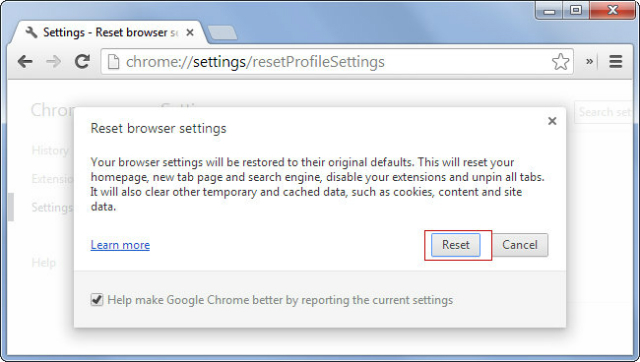 The procedure of resetting various browsers to their default state is discussed below. Type the string: chrome://settings/ in the address bar and then, press Enter key on keyboard. Scroll the page down to the bottom until you see Reset Settings section. Click on Reset Settings button. If asked, click Reset to confirm and proceed. This function will reset your home page, new tab page, search engine, and other areas affected by Live-streaming.online. Unwanted extensions will also be removed from the browser. This will not affect your bookmarks, history, and other saved data. You may also download Chrome Cleanup Tool from this page. A stand-alone reset tool from Google Chrome but with more advanced Adware scanner feature. Open Internet Explorer and head to top menu. In the top menu, click Tools, and then Internet Options. On Internet Options window, choose Advanced tab. 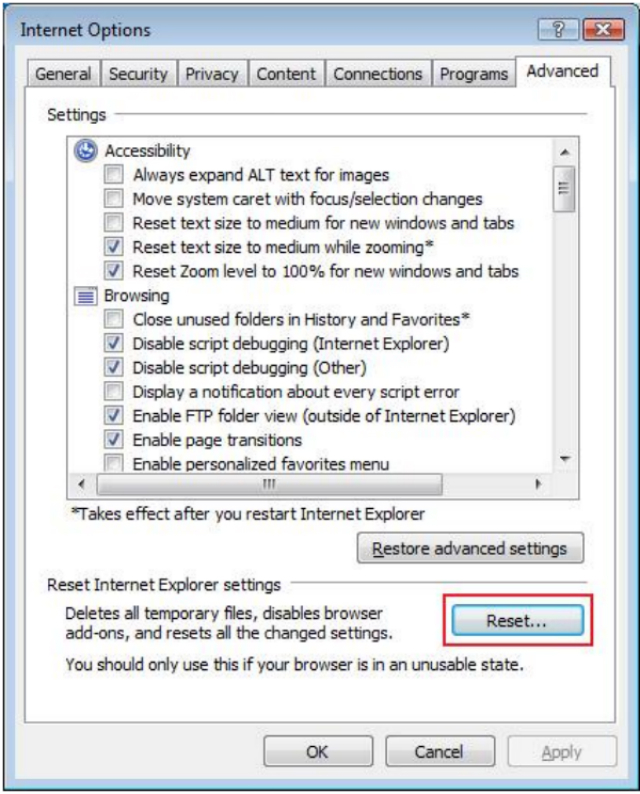 Head to the lower part of the window, under Reset Internet Explorer Settings section, click the Reset button. This process may delete add-ons by Live-streaming.online and other unknown objects, however, your data like favorites, history, and bookmarks will remain it the browser. 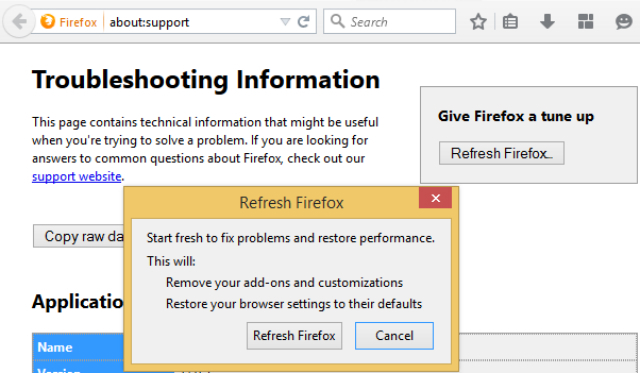 Restoring Firefox to factory settings, you can remove unwanted extension from Firefox related to Live-streaming.online and other PUPs may fix many browser issues without affecting your essential information such as browsing history, passwords, bookmarks, and Internet cookies on the browser. Open the Mozilla Firefox and head to the top of the browser. At the top, navigate to Firefox menu and access the Help area. In the Help area, click on Troubleshooting Information. A new tab will appear. There on upper-right corner of the screen, you will notice a section saying Reset Firefox to its default state. Click the Reset Firefox button. When confirmation window displays, click Reset Firefox to continue. 5. Firefox browser will close and start the resetting process. Once done, it will show a list of restored data. By now, it is likely that Live-streaming.online home page hijacker is gone. Click Finish for opening a fresh version of Firefox.